Want to Lose Weight? Pay Attention to Your Bloodwork! Have you hit a weight loss plateau? Many people find that even intense workouts don't help them shed the extra pounds. Instead, the problem may be solved by gaining a deeper understanding of what’s going on inside of the body. The good news is that certain blood biomarkers are relevant for weight loss, so knowing your biomarker status can be a powerful step toward beating the battle of the bulge! Are you ready to lose some weight? Here are a few important biomarkers that you may want to watch. Vitamin D has several important functions in the body, most notably helping to improve bone health in partnership with calcium. But studies also show that low levels of vitamin D are linked to overweight and obesity. According to one article from 2009, vitamin D levels (measured at the start of a weight loss program) could accurately predict the amount of weight that participants lost; people with the lowest vitamin D levels lost less weight and abdominal fat than those with higher levels. According to the National Institutes of Health, supplements that contain both vitamin D and calcium have the potential to affect weight loss, but the effects of vitamin D alone are is yet to be seen. So, how can you increase your vitamin D status? Since your body actually can make most of its vitamin D from sunshine, simply getting outside more often can increase your body’s stores of the vitamin. 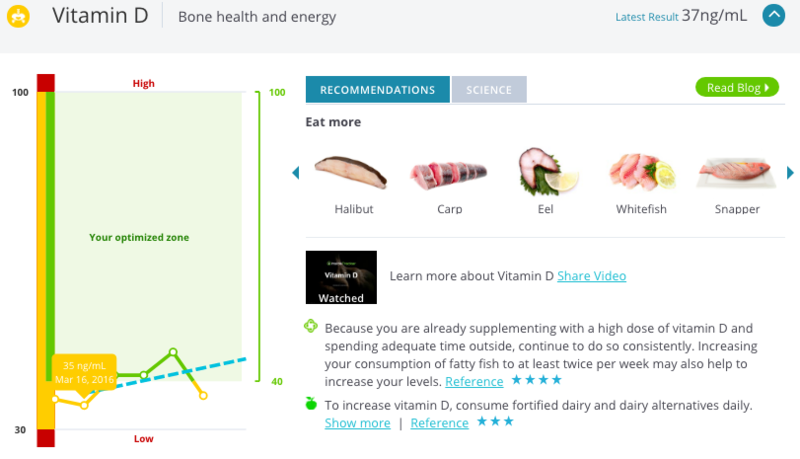 You can also get more from fatty fish, mushrooms, and supplements. Click here to learn how InsideTracker can provide you with a personalized plan to lose weight! Glucose, or blood sugar, lives in the carbohydrates that we consume. These carbs get broken down into glucose, which is used by cells throughout the body for energy. Increased blood glucose levels, however, may lead to weight gain. Researchers at the university of Southern Denmark reported that high levels of blood glucose may boost fat production in the pancreas and high levels of fat in the blood. It’s also important to note the role of a hormone called insulin. When your blood sugar is high, insulin moves the sugar from your blood into your cells. People with insulin resistance often have high blood sugar levels because this process doesn't work the way it should. Insulin resistance commonly occurs in people who are overweight and obese, and it is also a common predictor of weight gain in postmenopausal women. The bottom line: don’t allow your insulin and glucose levels to get too high. One option is to follow the glycemic index diet, which ranks foods and beverages containing carbohydrates based on how they affect your blood sugar levels. Cortisol is a steroid hormone produced by the adrenal glands. It helps us respond to both physical and emotional stress, and plays a key role in a number of essential processes that happen in the body. While healthy levels of cortisol play an important role in breaking down glucose and fat, chronically high levels of the hormone have been linked to weight gain. Some studies show that consistently elevated levels of cortisol cause fat to be stored, and excess fat in the blood to be deposited deep within the abdomen, which can result in weight gain. Animal and human studies have also shown that cortisol injections are associated with increased appetite and sugar cravings. It is believed that cortisol directly influences our food choices and encourages us to choose foods that are high in sugar and fat. Testosterone is a hormone that is present in the bodies of both men and women. It plays a key role in muscle mass and strength, and contributes to the body’s energy levels. 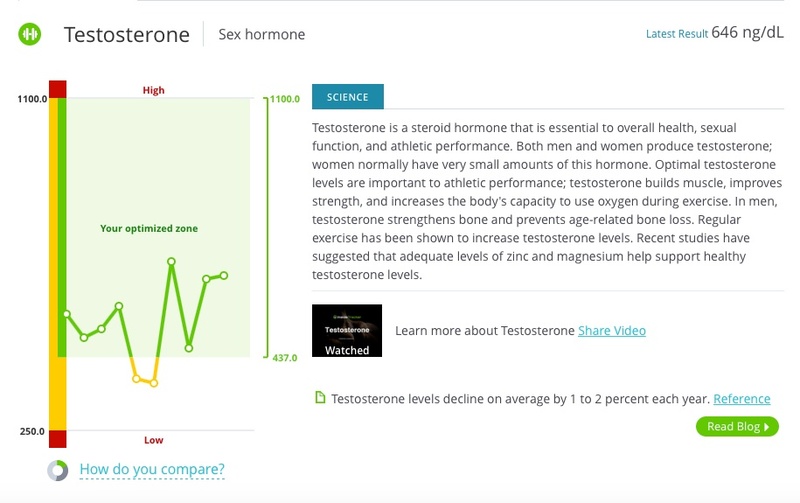 Men’s levels of testosterone naturally decrease with age, which can cause weight gain later in life. According to the Mayo Clinic, men who have reduced levels of testosterone tend to put on weight and have difficulty losing weight. In one study, obese men showed significantly lower testosterone levels than men that weighed a normal amount or were just overweight. This was also the case across different age groups, which suggests that fat may have a greater effect on testosterone levels than age. Conversely, obese men who lost weight were shown to increase testosterone levels. The good news is that while losing weight may be difficult for men with low testosterone, keeping it off may be easier because of the hormonal changes that accompany weight loss. If your testosterone is low, there are natural ways to increase it. Research shows that overtraining can cause a significant decrease in testosterone, so allow ample time for sleep and recovery. The length of your recovery period depends on the intensity and duration of your workouts, so listen to your body and adjust your training regimen accordingly. Lastly, pay attention to your diet, especially your pre-workout meals and post-workout foods. 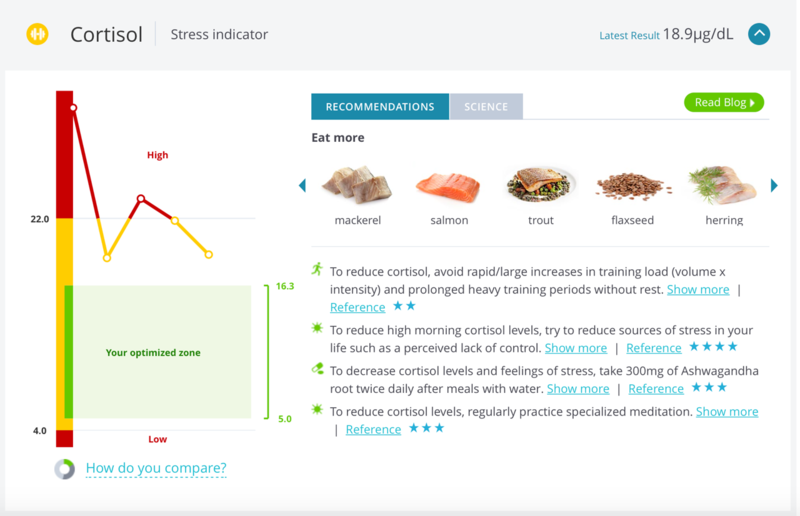 Check your InsideTracker nutrition page for foods rich in the vitamins and minerals you need for optimal performance. If you want to lose weight (and keep it off), it’s important to consider what’s going on inside, not just how you look on the outside. 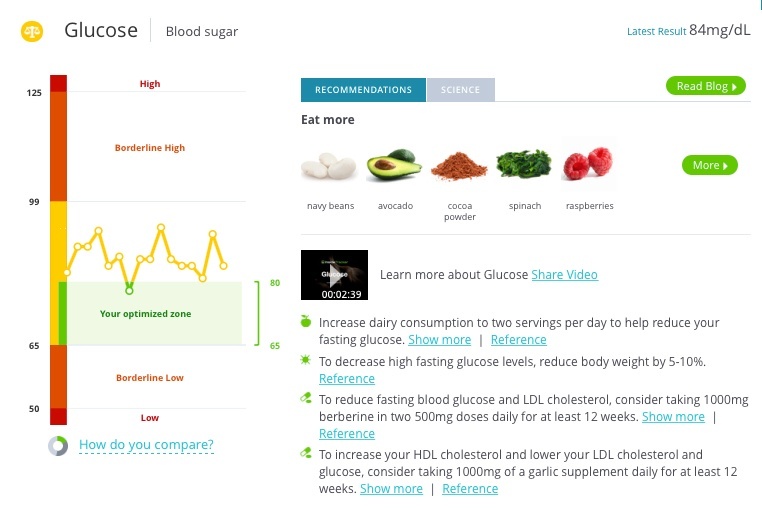 Follow these recommendations and test regularly with InsideTracker to keep your biomarkers in check.